We’ll help you troubleshoot this annoying problem. To do that, we need to ask you a few questions to help pinpoint the cause of the problem. Is air coming out of the supply vents, but it’s just not cold? 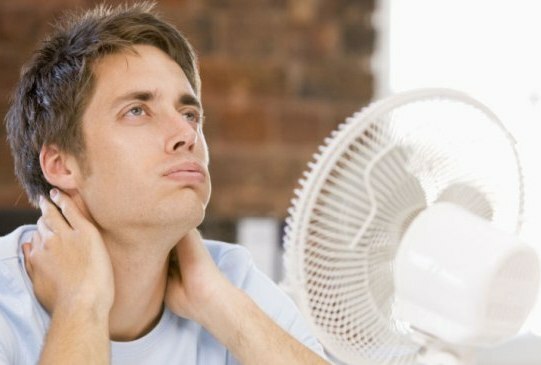 1) Check the thermostat fan setting— Does your air conditioner run cold air sometimes but hot air other times? Make sure the fan setting is set to “auto” not “on”, which will cause your AC to blow air even if it’s not being cooled. 2) Check your air filter— If the air coming out of the supply vents is weak and not very cool, check to see if the air filter is dirty and change it if necessary. A dirty air filter blocks airflow to the air handler. Out of air filters? Here’s our guide on selecting the right home air filter. 3) Check the the outside AC unit—Is the outside unit covered in dirt, dust or grass? Clean it. Is it being smother by a tree branch or bush? Trim them back to give the outside unit breathing room. Is the outside fan not working? A professional needs to fix it. 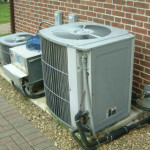 Otherwise the outside unit can’t cool down refrigerant to cool your home’s air. If none of these helped, your AC may be low on refrigerant. However, this is caused by a refrigerant leak, which you’ll need a professional’s help to find and fix. 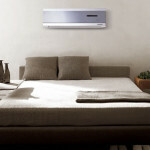 Is your air conditioner not blowing any air? 1) Check your thermostat temperature— Make sure you’ve set the temperature setting at least 5 degrees below your room temperature. 2) Make sure the thermostat is set to “Cool”— Seems simple, but you never know if one of your family members (or the dog) accidentally set it to “Off” or “Heat” by accident. 3) Check the air filter— If an air filter gets too dirty, it will completely block airflow and freeze the inside unit. Change the air filter if it’s dirty. Out of air filters? Here’s our guide on selecting the right home air filter. 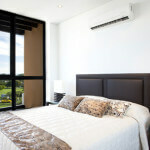 If any switches are set to “off”, then there may be a problem with your air conditioner. For example, an AC with a water sensor switch will shut down if it has a clogged condensate drain line and water spills into an overflow pan. Long story short, this means the your AC shut down to prevent water damage to your home. Also, your AC may also be overheating, causing the air conditioner to pull in more electricity than the circuit breaker can handle. So the circuit breaker cuts power to your AC. 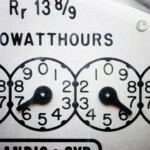 If the circuit breaker keeps cutting power after your AC runs for awhile, don’t ignore it. It’s trying to tell you something is wrong. Call a professional to figure out why this is happening. If you need help finding any of the switches we mentioned, ask our experts for help. If your AC still isn’t cooling your home and you live in the the East Bay, San Jose, or Sacramento areas, contact Service Champions North for an AC repair.